Having spent her formative years in Delhi, Shilpa loves reading about occult sciences, past life regression and has read almost all the books written by Enid Blyton. When not in office, she can be found talking to fairies. She has completed, B.Com (Hons) from Delhi University and an MBA from Birla Institute of Management & Technology (BIMTECH). 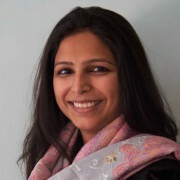 She has worked as a sales and market research consultant with leading companies like ICICI Prudential and GENPACT in India, before starting Development Logics. In her work life she likes to play with data analytics, employing principles of Lean and Six Sigma. Besides operations, she handles the HR of the company. Grew up amongst the mountains of Dharamshala. Reading National Geographic and every single edition of Readers Digest published in India from 1954 to 1999 was his favorite pastime. Having lost his father early in life, Varun was seeking meaning to his worldly existence and the following words of Whitman gave him a sense of purpose. Varun graduated as an engineer from North Maharashtra University and an MBA from Institute of Rural management Anand (Anand). 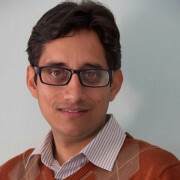 He has worked as consultant with IL&FS and Department of IT, Govt of Himachal Pradesh.